LONDON—Kate Middleton‘s ivory and lace wedding dress was designed by Sarah Burton, creative director at the fashion house Alexander McQueen, the palace announced Friday as she entered Westminster Abbey. “Miss Middleton wished for her dress to combine tradition and modernity with the artistic vision that characterises Alexander McQueen’s work,” officials said in a statement. 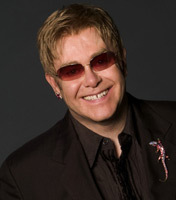 By the way, Elton has only met Prince William twice. He’s being invited more for his long association with the royal family than for any personal connection to the prince. And let’s not forget, he is a knight. Only three weeks to go! 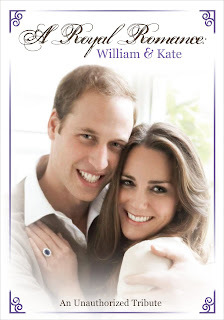 Celebrate the royal nuptials early with the special collector’s release, A Royal Romance: William & Kate, bowing on DVD April 12 from Inception Media Group. Fully aware of the role he is to play as the future King of England, handsome Prince William displays a strong sense of duty and loyalty to the Royal Family—his destiny and upbringing carefully managed by the monarchy since birth. With the poised, young woman he met at university and courted for eight years at his side, royalists pray that their marriage will survive the pressures of the monarchy … unlike those that have gone before them. The Royal Wedding Schedule: Mark Your Calendars! Royal officials released an estimated schedule Thursday for the April 29 royal wedding of Prince William and fiancee Kate Middleton at London’s Westminster Abbey. 0830 BST (0730 GMT; 3:30 a.m. EDT): Guests begin arriving at Westminster Abbey. After 10 a.m. BST (1030 GMT; 530 a.m. EDT): The royal family begin to take their places at the Abbey, with Queen Elizabeth II and her husband the last to arrive. Prince William heads to the Abbey joined by his best man, Prince Harry. 1100 BST (1000 GMT; 6:00 a.m. EDT): The bride arrives at the Abbey; the ceremony begins. 1215 BST (1115 GMT; 7:15 a.m. EDT): William and his new wife emerge from the Abbey and depart in the 1902 State Landau, a carriage, and travel to Buckingham Palace. 1325 BST (1225 GMT; 8:25 a.m. EDT): The newlyweds and their families make their appearance on the palace balcony. 1330 BST (1230 GMT; 8:30 a.m. EDT): The royals watch a flypast before returning inside for the queen’s reception. Prince William and Kate Middleton have asked for people to make a donation to charity instead of sending them wedding presents. The British royal and his bride-to-be – who will tie the knot at Westminster Abbey on April 29 – have set up a Charitable Gift Fund to allow people who are considering buying them a gift to give to a selection of charities chosen by the couple. Although Prince William is a patron of a number of charitable causes, he and Kate have decided to choose causes they have no relation to in order to help the organisations gain more exposure. The statement continued: “All the charities intended to benefit from the Fund have been chosen by Prince William and Miss Middleton. They reflect the couple’s passions and interests as well as some of their experiences in their lives together so far. “None of the charities chosen have any formal relationship with either Prince William or Miss Middleton. Rather the couple have chosen to take the chance to benefit some causes that have less exposure or which are undertaking valuable work in areas of the community which the couple feel would benefit from this support.